A few days ago, I found a photo from high school of myself with some football friends. That photo means so much to me because that friend died my freshman year of college. Photos are so important. They capture people and moments and help us remember. 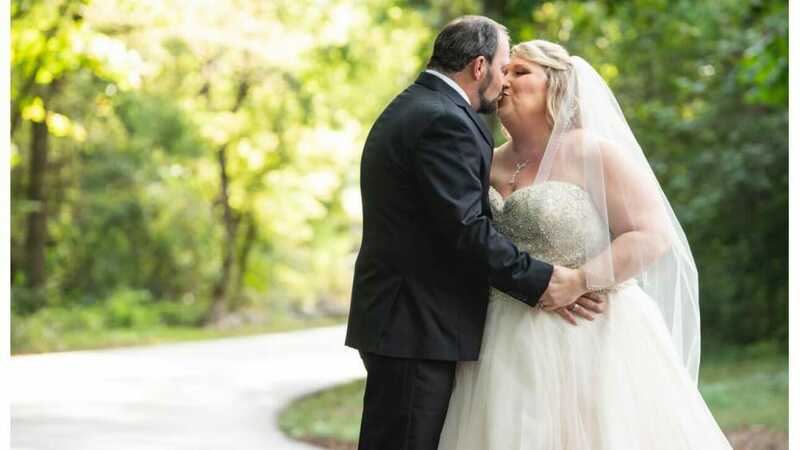 Stacey and Scot’s weddings photo were beautiful, and I know they will treasure them forever, but still, video captures things that photos can’t. I’m so glad we all got to capture Stacey and Scot’s Wedding film at St. Anthony’s on the Creek. If you read my post about their wedding photos, you already know some of the details about this big day. The most interesting fact was that it was on a Wednesday, and they chose that date because both parents were married on that date. We did something a little different in this wedding film. Stacey had a piece of footage that she wanted to include. I’ve never had anyone ask me to do this, so I wasn’t sure how it would turn out. There are some problems usually with cell phone video. One, the quality might not be great. Some phones look better than others. Two, it’s usually shaky. We use tripods and monopods to stabilize our shots, so holding a phone still is hard. Third, the audio is usually bad. Last, people tend to shoot vertically when they should be doing horizontal. We had a few of those issues with the clip, but still, it was well worth it to put it in there. The clip was Scot’s proposal, and there were some great words in there and plenty of emotion. Weddings photos are extremely important and for most people, that’s enough, but this was a special day, and they wanted it completely captured. When you add Stacey and Scot’s wedding film at St. Anthony’s on the Creek into the mix, I think you get the perfect mix.